Information, Education, and Support for Experiencers and Abductees, their families and social circles, as well as anyone interested in the alien abduction phenomenon. Starborn Support Radio Presents! Thom Reed, Mike Cclelland, and a SPECIAL GUEST! Starborn Support Radio Presents! Nick Redfern: The Real Men in Black! Starborn Support Radio Presents Mr. Steve Firmiani! Listen to Nick Redfern's great show on the Men in Black! 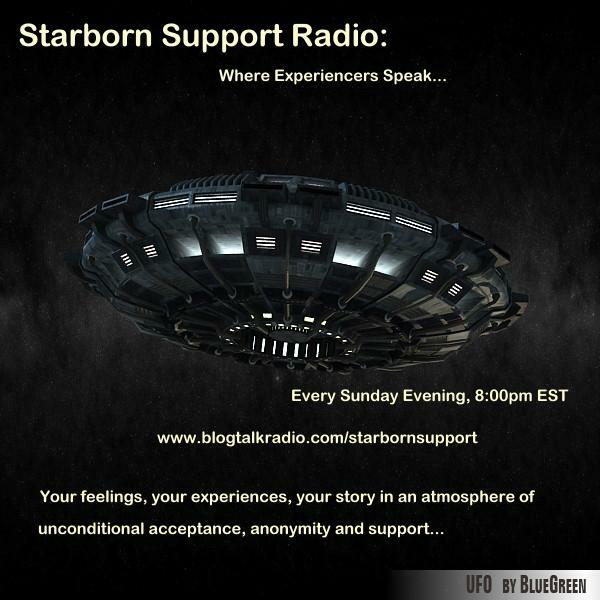 Starborn Support Radio: Kathleen Marden & Denise Stoner -- Experiencers Speak!